I also know that once your baby is born, you’ll be so infatuated with him or her and also be focused on resting, nursing, and figuring out how to get into a routine with your new baby and possibly your older children as well. Selecting a photographer might not be top of mind then also. That’s why it’s best to book your baby’s photo session between two and four months before your estimated due date. 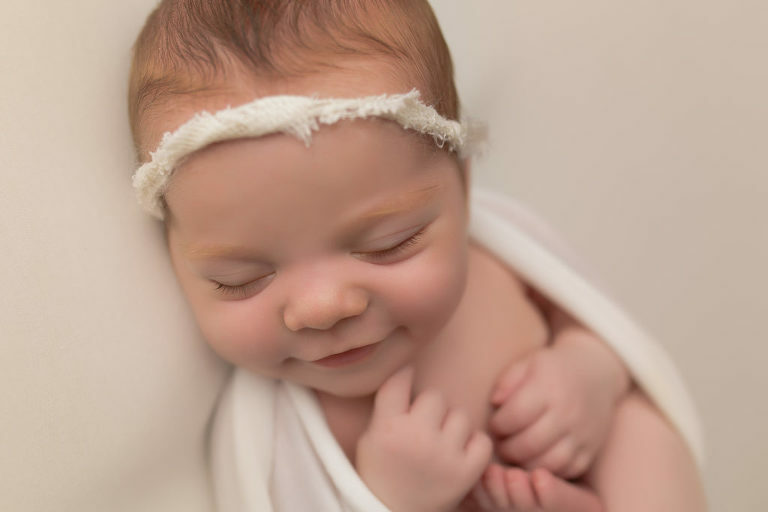 Booking at least 2 months in advance will secure your newborn on my schedule, ensuring that even during the busy times you will have a space on my calendar. This will allow us to meet up to go over everything for your session, plan color schemes and poses, and even allow you to look and feel all the high quality products I offer, from heirloom albums to canvas wall galleries. I want to help you from start to finish, and tell your baby’s story in the perfect way. Ready to book your session or have questions? Send me a message and I’d love to chat!